besity is a worsening pandemic that afflicts more than 35 percent of the U.S. adult population and hundreds of millions of people on a global scale. This dwarfs other common medical conditions, such as colon cancer, esophageal cancer, cirrhosis, HIV and IBD, and is several fold more prevalent than all of these combined. Obesity is also the root cause of a variety of co-morbid medical conditions, including hypertension, hypercholesterolemia, cardiovascular disease, type 2 diabetes, obstructive sleep apnea and fatty liver disease. As such, the estimated annual medical cost of obesity in the U.S. is over $200 billion dollars. Until recently, the medical field has focused its attention on the treatment of comorbidities, rather than the underlying disease process. 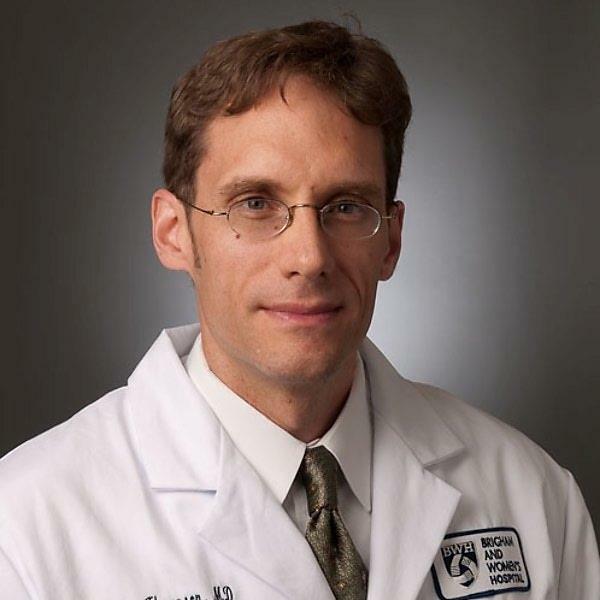 We have developed an impressive continuum of care to address these comorbidities, from physical therapy and medicine (including multiple medical algorithms for the treatment of hypertension and type 2 diabetes), to minimally invasive treatments such as drug-eluting cardiovascular stents and arthroscopy, to major surgical options such as coronary artery bypass grafting and joint replacement surgery. Nevertheless, we have failed to contain the everworsening underlying obesity epidemic. In fact, it was not until June 2013 that the American Medical Association formally classified obesity as a disease, and very few medical professionals have had formal training in the care of patients with obesity. Additionally, bias still exists towards patients with obesity, which likely further contributes to health-care disparities in this underserved population. Prevention and non-invasive therapies, including lifestyle modification and medical therapy, are important to the care of these patients and can yield a 7 to 10 percent reduction in total weight. Unfortunately, sustained weight loss is typically achieved in only 5 percent of obese patients using these modalities alone. Nevertheless these treatments are critical to the durable success of other therapies including surgery, and remain of primary importance. Surgery is thus far the most effective treatment of morbid obesity, type 2 diabetes and other related comorbidities. However, surgery has been insufficient in containing the worsening epidemic. There are roughly 20 million morbidly obese patients in the U.S. that are eligible for traditional surgery, yet there are only an estimated 1,500 bariatric surgeons as of 2006. At the current rate bariatric surgery is performed, assuming roughly 200,000 procedures annually at a cost of $20,000 per procedure, it would take roughly 100 years and cost $400 trillion to treat existing eligible patients. This is an underestimate for several reasons. The cost for many procedures is above $30,000, without considering complications, inflation or other indirect costs. Additionally, the prevalence of obesity continues to increase and there are many more patients who are not eligible for traditional surgery. If the goal is to treat everyone who suffers from obesity, this would bring the current number to approximately 80 million. A full spectrum of care that draws on the strengths of multiple disciplines is needed to contend with this epidemic. A full spectrum of care that draws on the strengths of multiple disciplines is needed to contend with this epidemic. It is critical to get more practitioners actively involved in the management of obesity and to develop a variety of cost-effective solutions. A weight-centric approach would be more efficient than a comorbidity-centric approach that focuses on only addressing the individual comorbid conditions. 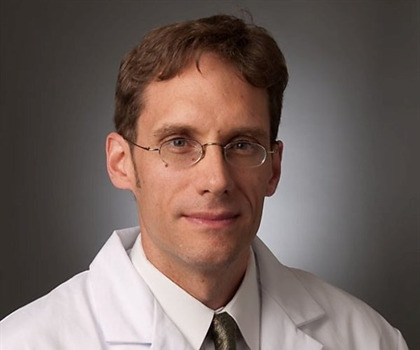 Furthermore, a sustained weight loss of 5 to 10 percent has been shown to significantly improve most obesity-related comorbidities and endoscopic devices recently approved by the U.S. Food and Drug Administration (FDA) are capable of achieving these outcomes. Now obesity is understood to be a digestive disease. Alterations in gut hormone signaling not only contribute to disease pathogenesis, but are also integral to bariatric surgical mechanisms of action. This has allowed the development of targeted endoscopic therapies. Two intragastric balloons and aspiration therapy have been approved by FDA, and several other devices are nearing approval. Some of these emerging devices focus on modifying gastric physiology (including space-occupying devices and gastric suturing), while others work via small bowel mechanisms (including implantable liners and endoscopic anastomosis). Most of these devices require relatively modest technical ability, however, a firm understanding of obesity management principles is critical to success. 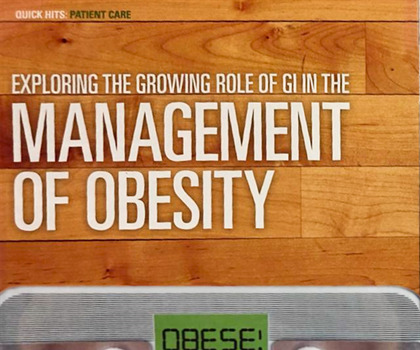 A multidisciplinary approach, including early intervention with less invasive therapies, is crucial to effectively address obesity and its comorbid illness, and gastroenterologists will need to actively participate for success to be realized. 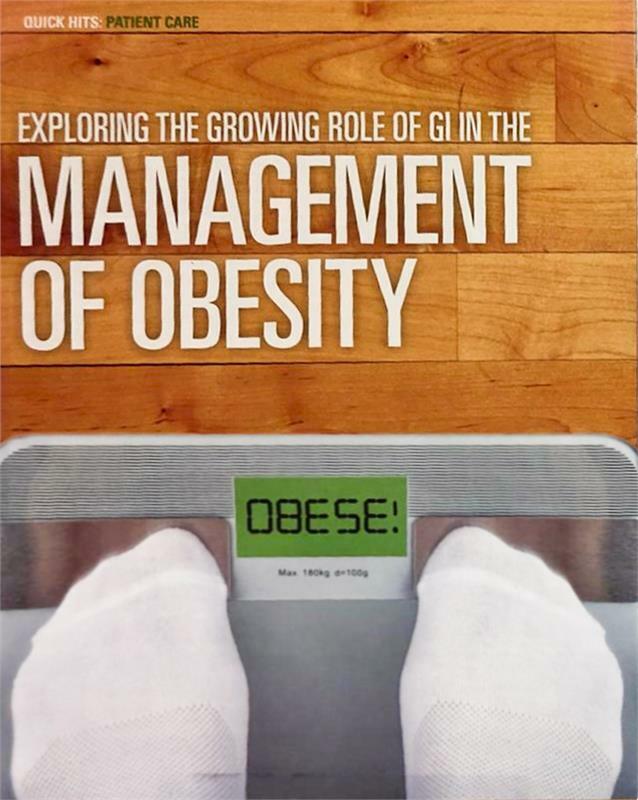 Management of obesity should be included in the GI fellowship curriculum, and better emphasized in general medicine training. There should also be a means to train practicing clinicians and support those interested in organizing multidisciplinary centers. Finally, societies must work together to champion proper coding and reimbursement for emerging therapies to assure access for all patients. 1. Doll R, Hill AB. Smoking and carcinoma of the lung; preliminary report. Br Med J. 1950;2 (4682):739–748. 3. Gomm W, von Holt K, Thome F, Brolch K, Maler W, Fink A, Doblhammer G, Haenisch B. Association of proton pump inhibitors with risk of dementia. A pharmacoepidemiological claims data analysis. JAMA Neurol 2016;73: 410–16. 4. Hill, AB. The environment and disease: association or causation? proceedings of the royal society of medicine 1965;58:295–300. 5. Moayyedi P, Leontiadis GI. The risks of PPI therapy. Nat Rev Gastroenterol Hepatol 2012;9:132–139. 6. Moayyedi P, Yuan Y, Leontiadis G. Canadian Association of Gastroenterology position statement: hip fracture and proton pump inhibitor therapy – a 2013 update.Can J Gastroenterol 2013;27:593–595.